Would you like to see more Nissan cars go electric? If so, then you’re in luck as Nissan’s Gareth Dunsmore thinks it won’t be long before the Nissan range becomes electrified. This would mean that future generations of current models such as the Juke and Qashqai, will ditch combustion power and switch to fully electric engines. Currently, Nissan’s electric vehicles are built on dedicated EV platforms. Dunsmore said “this would always be the preferable option, but the next step is a platform fit for EVs from day one”. Once these platforms are created, they would also be engineered to take other drivetrain technology and combustion engines. He went on to say “I hope EV stands up within that [platform] and people see it as environmentally friendly, fun and cost-efficient.” The director also hinted that Nissan were looking into the launch of smaller all-electric vehicles. “We have a range of options; some people want smaller vehicles and we’ll look at that”. Quieter and smoother ride- The ride quality in an EV compared to a vehicle that uses an internal combustion engine is more gentle and quieter. Cheap to operate- Compared to petroleum, electricity is considerably cheap. The cost per mile to fuel and EV is approximately ⅓ to ¼ the cost of petrol (on a cost per mile basis). As well as this, electric cars do not have exhaust systems, they don’t require oil changes and maintenance costs are significantly reduced. The only maintenance required for an EV is changing the tyres and ensuring they are properly inflated. Charge at home- You’ll never have to visit a petrol station again. Pull your car into the garage or driveway and simply plug it into charge. Wake up the next morning and you have a car that's ready with plenty of miles to get you through the day. 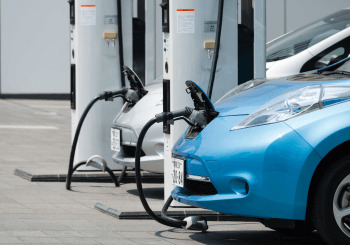 No tailpipe emissions- Fully electric cars produce no CO2 emissions, and therefore contributes towards improving air pollution and the environment. Many are still put off with mile range anxiety. Even though all the above is very positive low mile ranges can put consumers off from going electric, which is why it's positive to see that Nissan have made significant progress with the engine range technology. The new model will be offered with a series of different battery pack options, which includes one that will offer a range of up to 340 miles. Even though the Nissan Leaf is by far one of the most popular all-electric cars on the market, this range figure would make the all-electric city car a much more mainstream option for consumers. It would eliminate range anxiety and convince many to switch to electric who have in the past been put off by the limited range on current electric cars. The Japanese car brand gave the next gen Leaf with the IDS concept lots of coverage at the Tokyo Motor Show which took place last November and it also featured at the 2016 Geneva Motor Show. The concept at the show featured a 60kWh battery pack; this was said to provide a range of between 310 and 340 miles. Dunsmore has revealed that this range should be ready and viable for production for 2018 on the terms that the larger battery fits into Nissan’s durability and price targets. He didn’t aim this directly at the Leaf, but because there is a replacement set to arrive in a couple of years, it’s likely that the 340 miles could be the headline for the range-topping model in the next generation of Leaf models. Currently the revised Leaf offers up a 30kWh lithium ion battery pack, which has a claimed 155-mile range, which is more than the 124 mile range that standard with the 24kWh battery. This interesting strategy is expected to continue with the next gen-Leaf, as Nissan is set to serve up several different batteries with new mile ranges. This will give consumers plenty more choice and options, but models that come with a larger mile range will come with a larger price tag. For updates on Nissan’s electric progress, like Howards on Facebook or follow us on Twitter!